Tips for traveling to Disney with a 2 year old! My daughter's name is Isabella. She calls herself Belle, which is just perfect since that's my favorite princess and Disney movie. At 2 1/2 years old, we brought "Baby Belle" to meet the real Belle at the Magic Kingdom! She was enamored by the castle from our first day, and I don't know who was more excited to meet Belle, me or the baby! Our visit to the most Magical Place on Earth was super fun, exciting, busy & magical...but not without its stressful moments! Here's a few tips that helped our family navigate through a jam packed week of rides, churros, naps & fireworks! 1) I've now made this mistake twice, and I will not do it again! If your child needs to nap, they will not nap on travel days. Scheduling, flights, transporting to/from airport always get in the way of a regular afternoon nap (for us anyway!). Plus, just by being in the MOST MAGICAL PLACE ON EARTH, there is way too much excitement and exploring to do for our little one (or us?!). So there's no nap the first day. Then, for whatever reason I do it, I've booked a full day at the Magic Kingdom the day after we arrive. Well, baby Belle is not a peach the day after she doesn't nap so I will be planning a "low key" day exploring hotels or a day at Disney Springs the day after we arrive next time. It saves us a bunch of attitude & frustration; we can go at our own pace, it's relaxing to just walk around and explore, and we can go back to hotel to nap, no issues. 2) Speaking of naps, we did not want to deal with bringing a stroller through the airport, on the plane, blah blah blah, BUT Belle still naps so what to do?! We rented through Kingdom Strollers and for us, it was absolutely worth the money. The stroller was at our hotel - with plenty of storage space and a cooler! - before we even arrived! We had picked out the model online and it was perfect. Much more comfortable than our awful stroller we left at home! It was easy to maneuver & fold up. And - you just leave it at the hotel when you check out! SO.EASY. Belle napped every afternoon in the stroller in the parks so we never even had to leave the magic! We grabbed a snack, found a quiet spot in whatever park we were visiting that day, and relaxed! 3) To prepare the little one for our big adventure, we let her watch videos of the rides on YouTube before we left for vacation. This is a great way to help your child get familiarized with certain characters, rides, shows & experiences! It's fun to watch the videos after vacation as well when you're going through severe Disney withdrawal and can reminisce about Peter Pan's flight together! 4) Unless you are hands down, 100% super certain that your kid will just absolutely fall in love with life size Mickey & friends, I'd suggest not doing a character meal as your first meal, day one. Belle was horrified at the Winnie the Pooh characters at the Crystal Palace and as much as she LOVES the old Pooh classics AND ride, she just can not do the real life stuff. So that meal was a bit of a bust. After this incident, we gave her the option to "hug or wave to" the characters and this was met with much more enthusiasm when she realized she did not have to go anywhere near them . (Princesses are a different story!!) If you can, give your kids some time in the park to see and/or meet characters and gauge reactions before doing a character meal. I realize character meals book up quickly but it will save you money if you find out your little one is not in love with life size Daisy! Booking a character meal for later in the trip, after they've had a chance to see and meet characters, may work out better for you time and money-wise! 5) BRING HEADPHONES if your kid is not used to fireworks. They are very loud (we've done Magic Kingdom & Epcot), and as cool and awesome as you think the show is, it will not be awesome if your kid is screaming the fireworks are too loud. Headphones work at home for local summer firework displays, so I'm definitely packing them for next year's trip! If you're thinking being in the park during the show will be a bit overwhelming, try watching the show from one of the nearby beaches surrounding Seven Seas Lagoon. Grab a drink, bring a snack, pack some glow in the dark wands and bracelets (hello Dollar Store!) and enjoy without the crowds! We've enjoyed the fireworks from Fort Wilderness & the Polynesian - order a Polynesian Pearl at Trader Sam's and take it all in! And remember - HAVE FUN!!!! I'd love to help you book your next Magical vacation! Spring Travel & Student Groups: Insider Information on How Make the Most of It! August 10, 2016 Upon A Star Travel & Concierge . Ah, Spring! The weather starts to warm up and people start to come out of hibernation. Many have been house bound and stir crazy for months. They want to get out – to enjoy the sun, soak up the vitamin D and release some pent up energy. Many will often plan a trip to warmer weather so they can feel the sun on their face. Spring at Walt Disney World is beautiful! Epcot is in glorious color thanks to the Flower and Garden Festival. The flowers and topiaries are a sight to see. 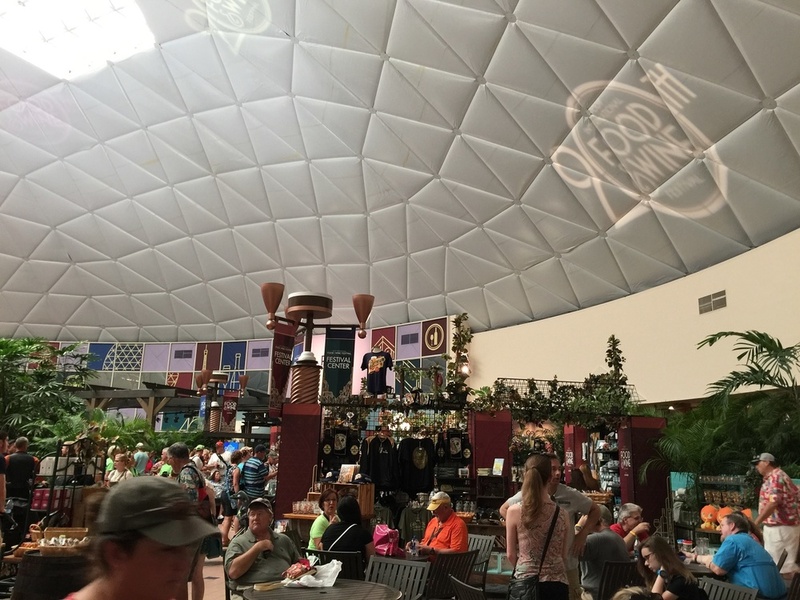 The additional food booths are on par with the Food and Wine Festival. Add all that with lower crowd levels and it’s a wonderful time to travel to Orlando! The only thing that seems to mar the idyllic spring theme at Walt Disney World is the dreaded “cheer competition”. It’s fairly common to hear someone say they don’t want to go to WDW if there is a cheer completion happening. They want to change their dates to make sure it’s not occurring while they are vacationing. This statement saddens me on many levels. So, I would like to clear some things up. I can feel the eye rolls as I type this – “she must be a cheer mom”. Well, that could be one way to look at it, but you’d be wrong. If you were to read my bio on our agency website (shameless advertisement plug for (www.uponastartravel.com ) you will see that I classify myself as a band geek. Between my personal Marching Band experience and, now my children’s,- I was the Color Guard and Rockette /Winter Guard director for my alma mater and community high school marching band, for over 8 years. So, while I am not a cheer person, I understand the situation. Keep in mind that Walt Disney World doesn’t just have one cheer competition week. Throughout the spring (and holiday season) many groups are hosted by Walt Disney World. Dance, Cheer, Marching Band, Concert Band, Orchestra, Choir, Winter Percussion and Winter Guard are just some of the groups you will see. 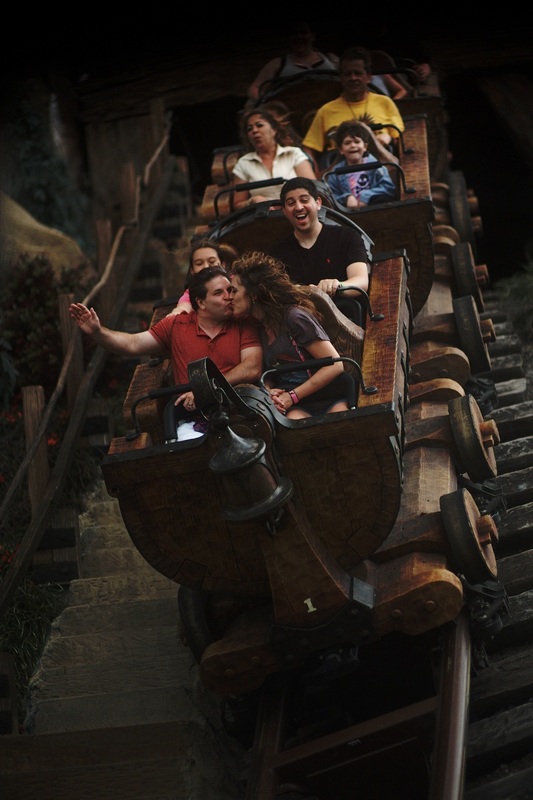 Orlando is a competition and school trip destination that can help organizations with recruitment. If you are being honest with yourself, you’d agree that you would be more inclined to fork over money for your child if they were to join an organization that was spending a couple days in Disney over a week Dayton. As a director, I can attest to being able to grow a program for up to 3-4 years with a “Disney year”. They join to go to Disney and end up loving the program and stay until they graduate. Most of these programs travel in the spring. Partly because of the competition season, which is generally from mid-January to mid-April. Partly because of school district policy. Standardized testing has made many school district narrow the window of travel for school groups. In PA alone, the Keystone and PSSA tests have made most school districts unable to travel after April 30th. Add to that the winter weather and you will see most student groups at Walt Disney World from early March to the end of April. 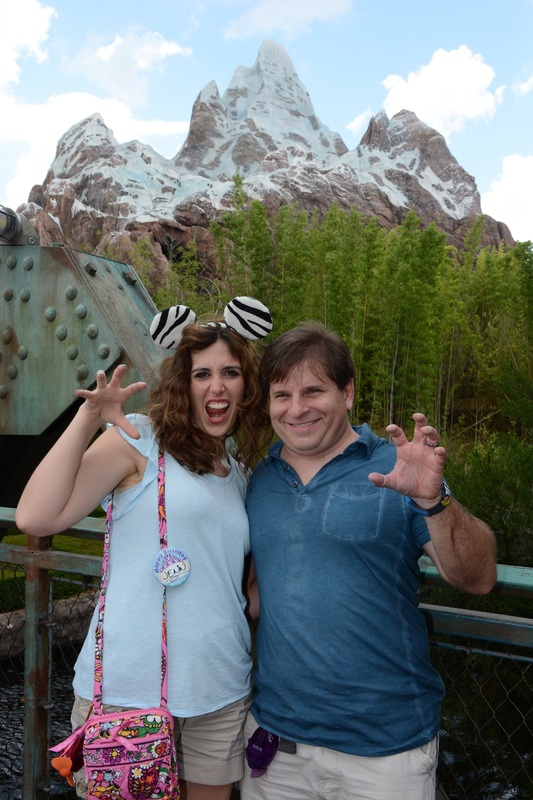 Here are my tips on getting the most out of your Walt Disney World vacation if you plan to travel at this time of year. 1- Avoid the All-Star resorts. Yes, I said it – avoid resorts. The main reasoning is simple -All Star resorts are the least expensive on property resorts. Groups have a very tight budget to adhere to it, so they tend to stay at the all-star resorts. They also follow a very stringent travel itinerary. This means the whole group will report to the resorts quick service restaurant, en mass, for meals, making the food court feel crowded. They will have scheduled down time so the pool and leisure areas will feel cramped. The main reason they are there is their performance. It is their goal- and what they have been working toward all season. These groups tend to rehearse whenever they can get it. This means they will rehearse in the common areas of the resort as soon as soon as they are able (usually 6am). It’s not uncommon to have cheerleaders practicing their cheers and tricks, guards practicing their flag or equipment spins, dance teams blasting music and musicians/percussion playing around the resort whenever they can. 2- To go along with No. 1; stay at a moderate (or better yet) a deluxe resort. Not only are the standard conveniences available, such as better restaurants, shopping and larger rooms. Travels groups tend to avoid these resort classifications in an effort to minimize group participation fees. Their budget simply will not allow them to stay at the higher room classifications. 3- Convention Center properties. Walt Disney World has resorts with convention centers; The Boardwalk Inn, Contemporary, Coronado Springs, Grand Floridian, the Yacht and Beach Club, are the most used for onsite competitions. These resorts may notice some addition traffic during the event times to their common areas, such as well as quick service dining. 5- Go and Support our youth!! If you find out there is a group performing go check it out, watch and support our youth programs. 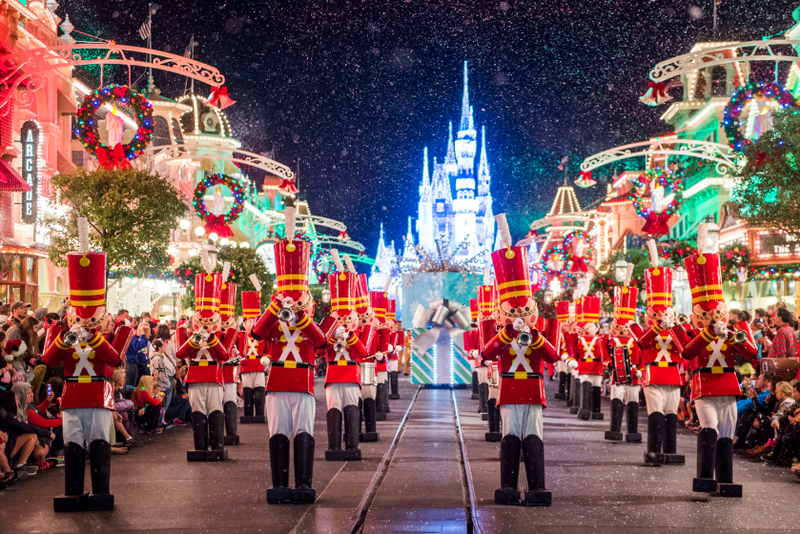 Whether it’s a cheer competition at the Contemporary, an Orchestra at Disney Spring’s Amphitheater, a Choir in the Candlelight Processional, a Winter Guard performing at Indy’s stunt show stage or a Marching Band marching down Main Street USA. These kids have spent hundreds of hours to get to this performance. Go cheer the on!! 6- Lastly, don’t be afraid to talk to the group’s personal. The Directors, Coaches and Chaperones want to know that their group has been on good behavior. They also want to know if there have been any issues such as line cutting, rowdiness and outright rudeness. Directors and Instructors understand the importance of representing not just the organization but the community. Interaction with patrons, resorts guests and spectators, help the staff to understand how we are perceived and what we can do to make sure the students are behaving in a proper manner. So if you are traveling in the spring, know that school and performance groups may be visiting Walt Disney World with you. Enjoy their hard work but plan accordingly. Contact one of the professional agents at Upon A Star Travel and Concierge to help you plan a wonderful, stress free trip. 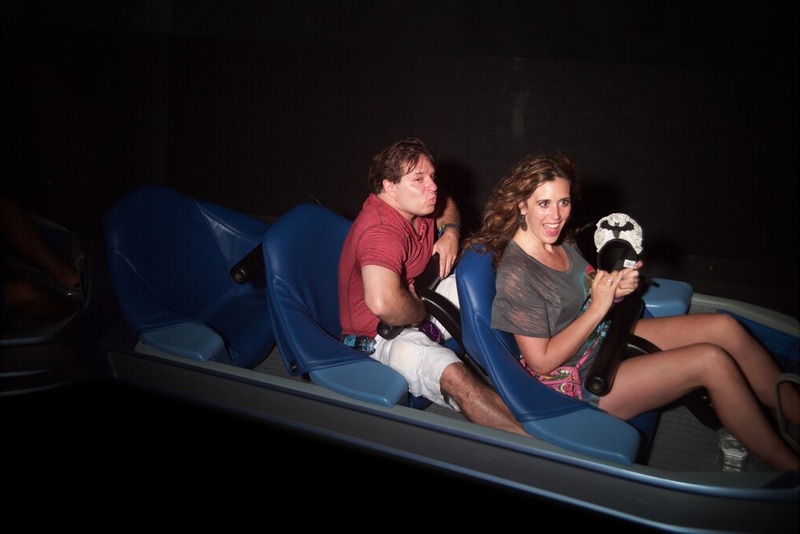 Utilize our team’s experiences to make the most of your vacation. Major changes to the FastPass+ system! On April 10th some major changes took place within the FastPass+ system! Let's take you through the changes! Now when you have used your first 3 FastPass+ choices you can make your 4th choice using your phone with the My Disney Experience app! Same goes for your 5th choice just go on your app after your 4th choice is complete and choose a new FastPass+ experience! You also don't need to make all of your choices at once. If you want you can choose, just 1 or 2 or all 3. Now you can choose your experience then select either, morning, afternoon or evening. You can also choose a specific time as well and see if it is available. You still have to use your first 3 choices at the same park. But after the first 3 you can use the 4th and 5th at another park if you have Park Hoper Tickets. Here at Upon A Star Travel and Concierge, we are very happy with the new changes! The new FastPass+ system is much easier to navigate on the app! Did you know if you are one of our clients that one of the services we provide for you is completing your FastPass+ selections! That's just one of the many services we can provide for you! Contact us for help planning your next magical vacation! 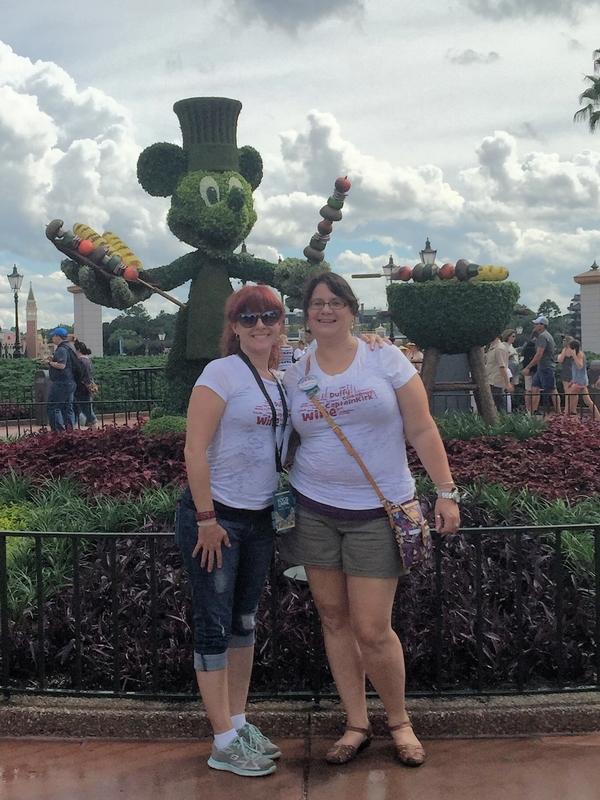 I’m back with some more tips and suggestions to make your trip to Disney easier and more enjoyable for your kids with special needs. Most kids with special needs, whether they are physical, emotional or intellectual, can’t wait long. If that is the case in your family, I suggest staying at a Monorail resort. The resorts on the Monorail are Disney’s Contemporary Resort, Disney’s Polynesian Village Resort and Disney’s Grand Floridian Resort. These resorts are a stone’s throw from The Magic Kingdom, and the monorail stops at the Transportation and Ticket center that can easily get you to Epcot. That being said, we have stayed at other resorts and have not had issues with transportation. All Disney buses are equipped with a lift gate for wheel chairs and electronic scooters. While waiting for buses, I often have very small bottles of bubbles to keep the kiddos distracted and busy while waiting. It’s important to give kiddos a break from the sensory overload going on during the day. If possible, try to take a break during the day and head back to your hotel and take a swim or a nap. We always find that this really helps the kids reset, and us as well! If you can’t make it back to your resort, find an area in the park that you can stop and take a break. I also find that kids with ADD/ADHD need to burn off some of that extra energy they are carrying round. To help burn some energy, head to some of the play areas in the parks; The Bone Yard at Disney’s Animal Kingdom is our favorite! Ok this is important for everyone going, however really important for kids with special needs. Did you know that kiddos with Autism, ADD/ADHD can dehydrate faster? Take some bottles of water into the park to make sure you and the kids keep hydrated. Don’t forget you can also go to any quick serve dining location and request water, and it is free! Disney is a big place, and the crowds can be intimidating. I try to dress my kids in matching outfits and tend to stick to brighter colors too. I also take a picture of them every morning when we head out the door to the parks so I have a photo of them in their outfits for the day. You can also buy/make bracelets with beads on them with your cellphone number so that if they get separated from you, they can show the bracelet to a cast member and they can call you. I always point out cast members to my kids so they know they can go to them if they get separated or need help. 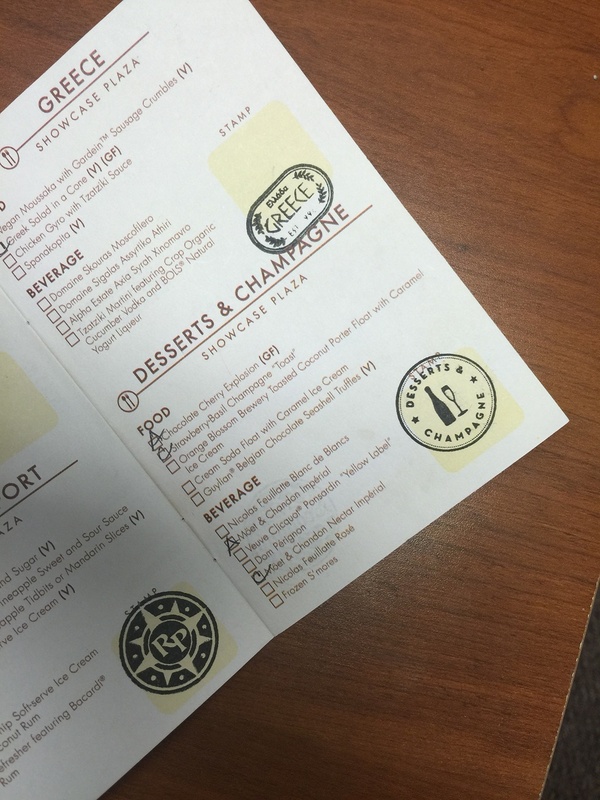 Where to dine is a big deal at Disney! Know a bit about the restaurants you may want to go to. Are they too loud, sensory overload, will they take too much time up eating there? My suggestion is to make reservations for off-times to eat. They crowds won’t be as bad and it's not as loud. I find the more organized you are, the better you will do and the better your kids will do too. Get help planning! We would love to help you plan out the details of your trip so that it can be enjoyable for you. I hate it when I hear about someone having a bad time at Disney, and usually it’s because it wasn’t planned out well. While planning out the details of a trip is important for everyone, I think it is of the utmost importance to families with kiddos that have special needs. You want to have every tool available to you to make your trip a success. I’m happy to answer any questions you may have! October 22, 2015 Upon A Star Travel & Concierge . My best friend from high school, Amy, and I have been going to small wine festivals around PA for many years. As we celebrated our 30th birthdays at a fall wine festival in Yorktown in 2005, we decided we needed to have something greater in order to “look forward” to the big four-oh looming in front of us. We decided to go to Italy! We started planning, even buying books and tapes to learn Italian. We weighed out the pros and cons of going with a tour group vs. renting a convertible and winging it. Sometime last year it hit us- we have no money saved up for our grand tour of Italy. Over the last 10 years, life happened- children got older, houses were bought, jobs were lost and new ones started. 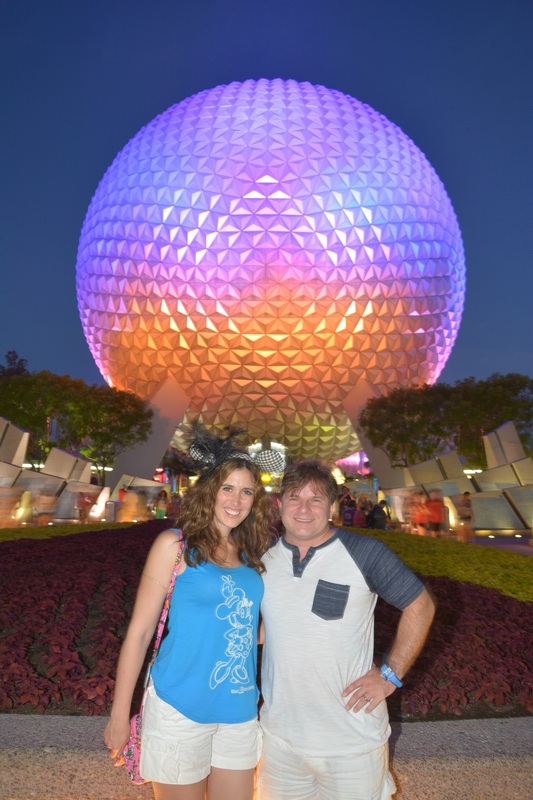 That’s when my husband surprised us by saying he was sending us to Italy!...in Epcot for the Food and Wine Festival. I started reading and learning about the F&W Festival. I quickly learned it was not like any of the festivals I’d been to locally -- meaning no free wine tastings. I was a little worried about how much money we were going to spend on tiny sips of wine. I started to feel overwhelmed with everything there is to know about the festival. There are parties, special events, food demonstrations by famous chefs, drink seminars, and so much more. I wanted it all!! There were two small problems with wanting it all…money and time. The money is pretty self-explanatory. While the demos and seminars felt completely doable at $15pp for a 45-60 minute session, some of the parties and VIP experiences went for up to $500pp. Time was the bigger factor. We were going for a Girl’s Weekend and only 2 days in the parks. 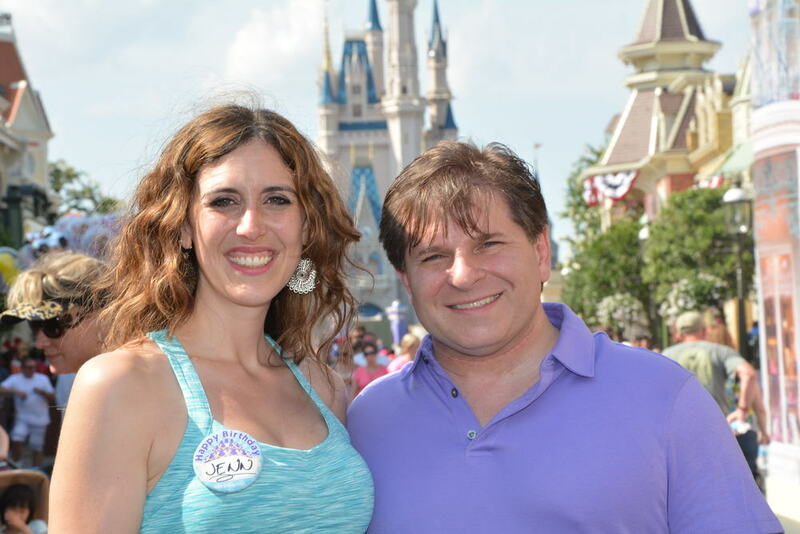 At first, I wanted to spend both days at the festival (Epcot is my favorite park), but then I found out that Amy hadn’t been to the parks since high school. 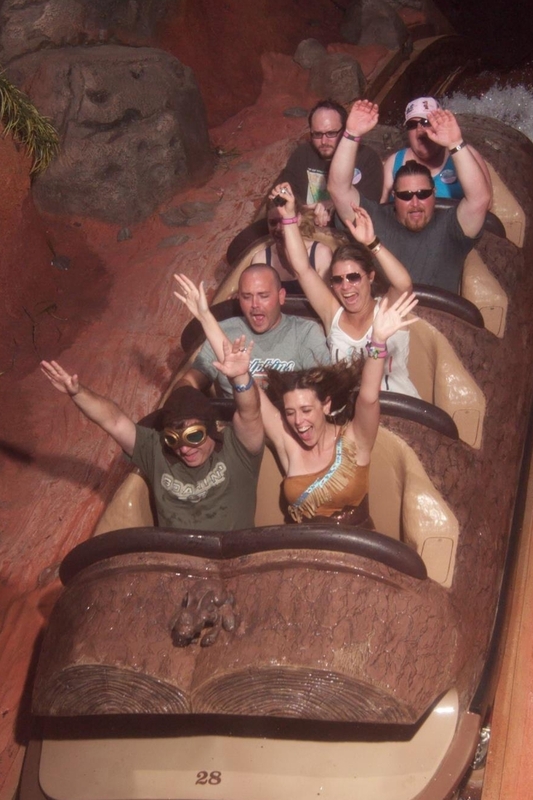 So we HAD to go to the Magic Kingdom for a day. We made the sad decision to skip the demos and our desired special event - the Italian Regional Food and Wine Pairing Luncheon - because it would take 3 hours up in the middle of our day. 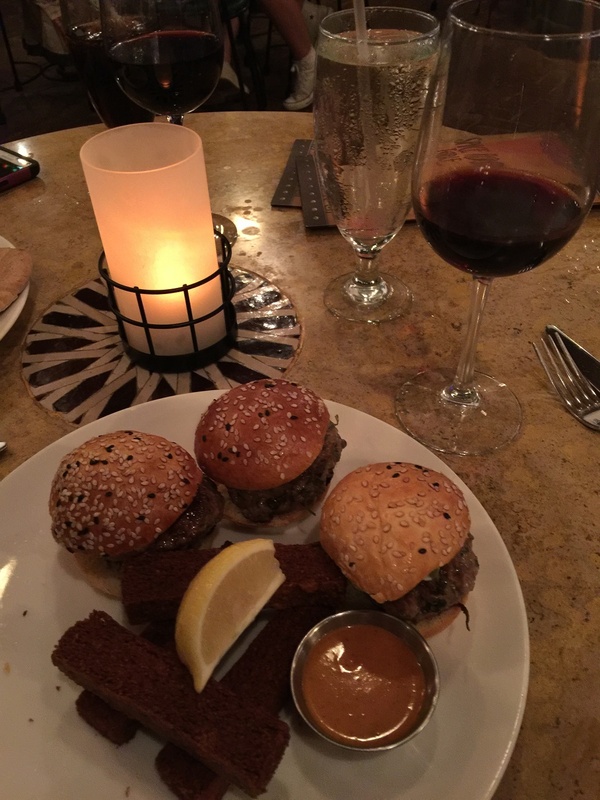 Instead, we planned to eat (and drink) our way around the World. 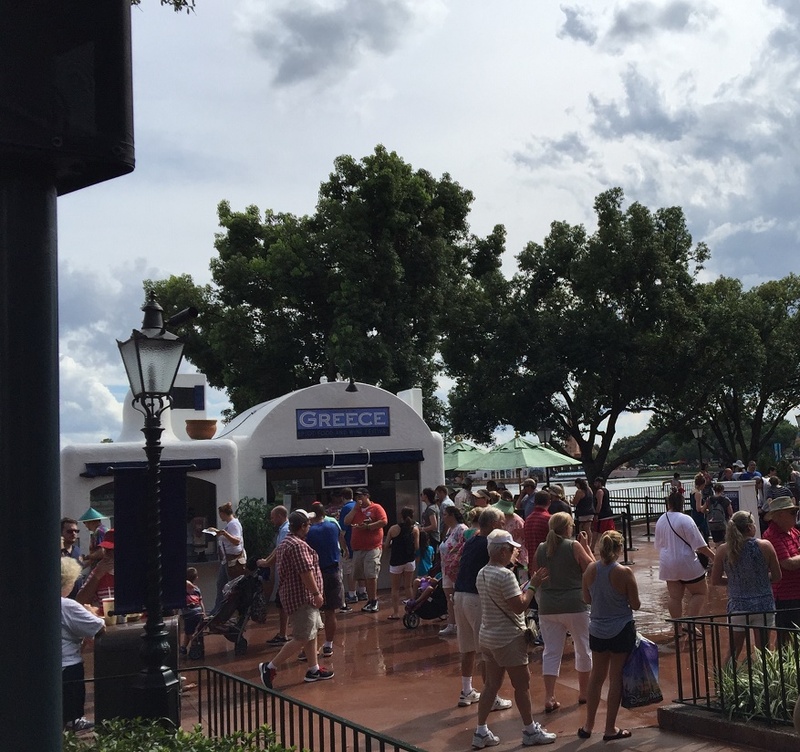 The Global Marketplace consists of 30 booths that represent countries and refreshments that are placed around the World Showcase. 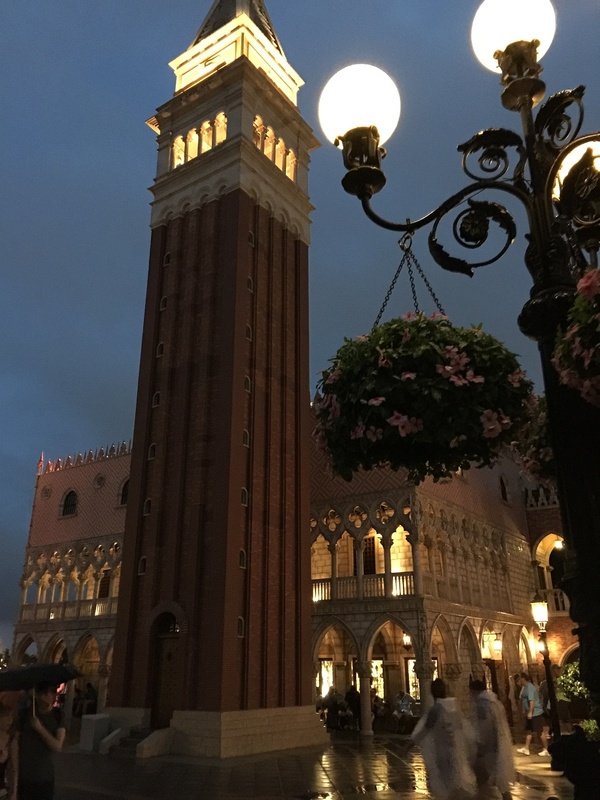 It’s more than the regular World Showcase pavilions. Additional countries are represented as well: Poland, South Korea, Greece, and Patagonia are just a couple of examples. 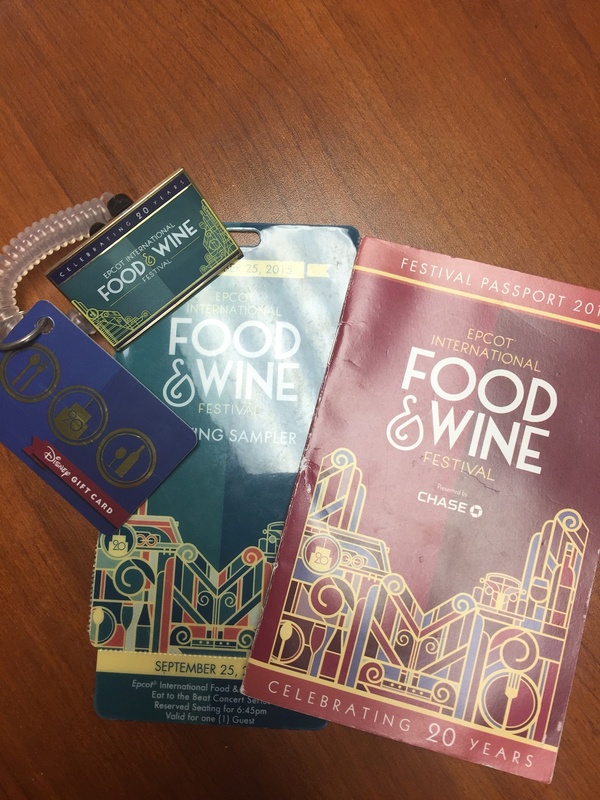 We pre-purchased the Sampler Package that included 8 entitlements for food or drink items in the Global Marketplace, a 20th Anniversary F&W pin, and VIP seating for the Eat to the Beat Concert. After a beautiful morning riding rides in Future World, we headed to the Festival Center. It’s the hub of all the comings and goings for F&W. The demos and seminars happen here. 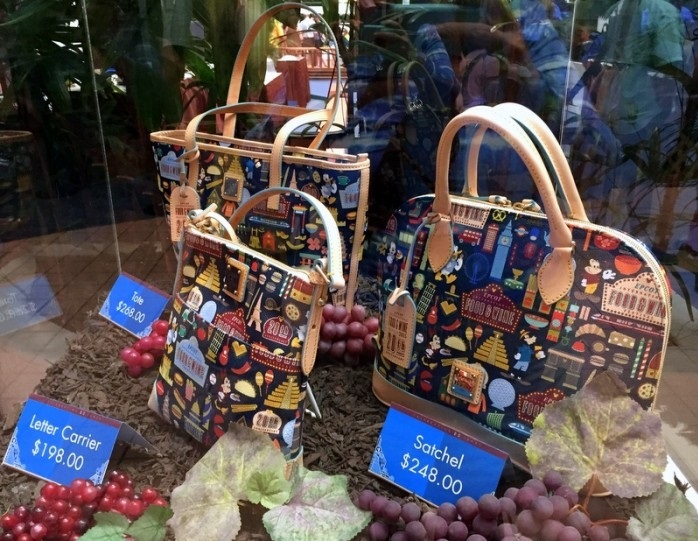 There is a small area to buy festival merchandise (Dooney and Bourke anyone?!?!) This is also where you pick up any festival tickets and passes. While we were there, we got a F&W gift card and loaded it with the max money we were willing to spend at the festival. This was to ensure we didn’t go overboard. We also got our “Festival Passport”, which tells you all the Festival booth menus throughout the Global Marketplace. This passport makes a great souvenir because you can have it stamped at each country’s booth you visit. The booths have a minimum of 2 main dishes, a dessert, and a beverage. We decided to order different dishes so we could try each other’s. In Scotland, I ordered the Haggis with Neeps (rutabaga) and Tatties (potatoes) and Amy had the Seared Sea Scallop with Spinach-Cheddar Gratin and Crispy Bacon. I thought the haggis was a bit dry, but since I’ve never had haggis, I have nothing to compare it to. That became the theme of the day…let’s try something we haven’t had before. Then we went over to Hawaii. I was disappointed that they were sold out of the Tuna Poke with Seaweed Salad (at 12:15pm! ), and they didn’t know when they would have more. So, we both had the Kalua Pork Sliders with sour Pineapple Chutney and Spicy Mayo. I could have had eaten these all day! Off to Greece! You can easily find Greece in the Marketplace. Just follow the cheers of, "Opa!" When you pick up your drink, shout, "Opa!" and the cheer is quickly returned. This was one of the best interactions with Cast Members and people at all the booths we visited. I got a Greek Salad and Amy got the Vegan Moussaka with Vegan Sausage Crumbles. My salad was good, but small. The moussaka was also good, but very hot. It was a 90-degree day, and eating the super-hot food wasn’t going down well, so it didn’t get finished. I was very impressed with the vegan/vegetarian options all through the marketplace. Next was the Champagne and Desserts booth. As a champagne lover, this was my favorite booth. I really wanted to splurge on a tasting on Dom Pérignon, but at over $20 for 2 ounces, I couldn’t bring myself to do it. Darn budget! Instead, I went with the Moet & Chandon Nectar Impérial instead. Amy got the Moet & Chandon Impérial to go with her Chocolate Cherry Exposion dessert. I got the fancy Strawberry-Basil Champagne “Toast”. Everything was phenomenal! We immediately planned to go back at the end of the evening to get another glass of bubbly and dessert. Next stop was the Refreshment Port. 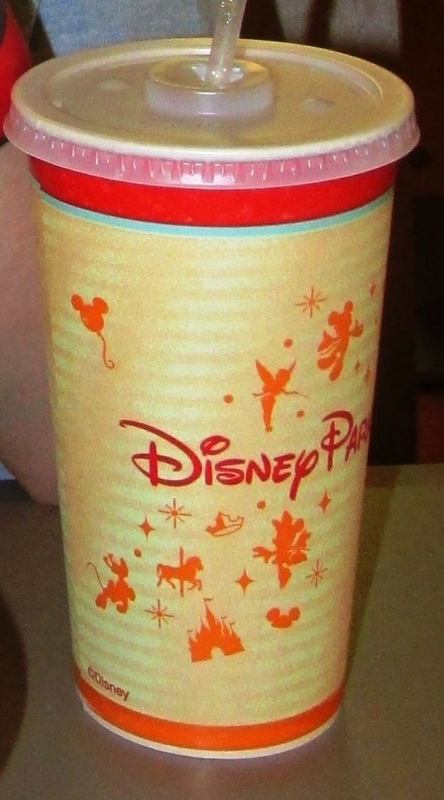 This booth is not a country, but it offers one of the best Disney treats around -- the Dole Whip with Coconut Rum!! We enjoyed this while looking out at the lagoon for a small break. O Canada! Cheddar Cheese Soup and Moosehead Lager for me. Wild Mushroom Beef Filet Mignon with Truffle Butter and Tawse Vineyard Cabernet Franc for Amy. 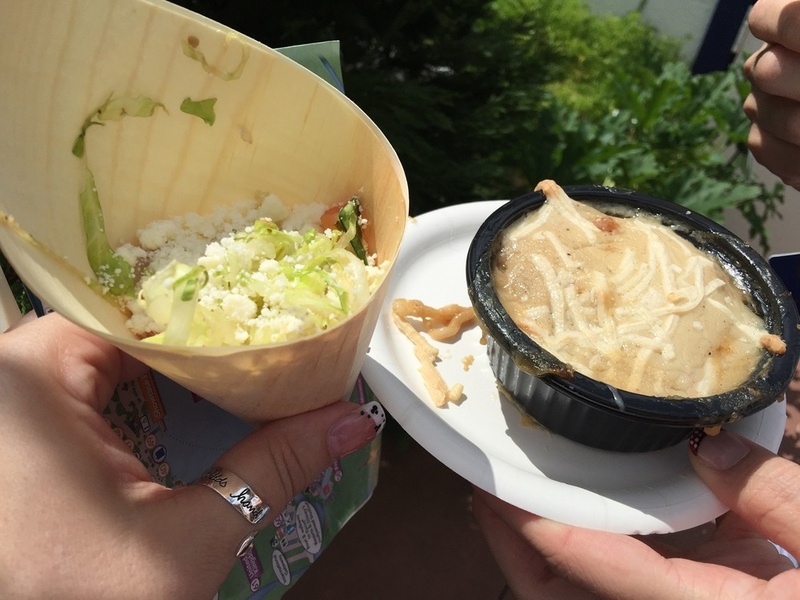 The soup and filet are on the menu at Le Cellier, so I was a little disappointed that there was nothing new. But, I LOVE the Cheddar soup and the beer was light and made an excellent pairing. The wine was really good and had the right notes to compliment the fillet and earthy mushrooms. It was one of our favorite booths, and Amy now wishes to go to Le Cellier the next time we are in WDW. After a shopping excursion and concert in England, we headed over to France. It was Champagne again for me in the Sparkling Pomegranate Kir. The Boeuf Bourguignon was so delicious and melted in my mouth. I was excited to see it on the menu, because I have always wanted to try it. Amy’s Cabernet Sauvignon was a bit bland, but the Crioissand aux Escargots was the simply amazing. It was both our favorite of the whole festival. 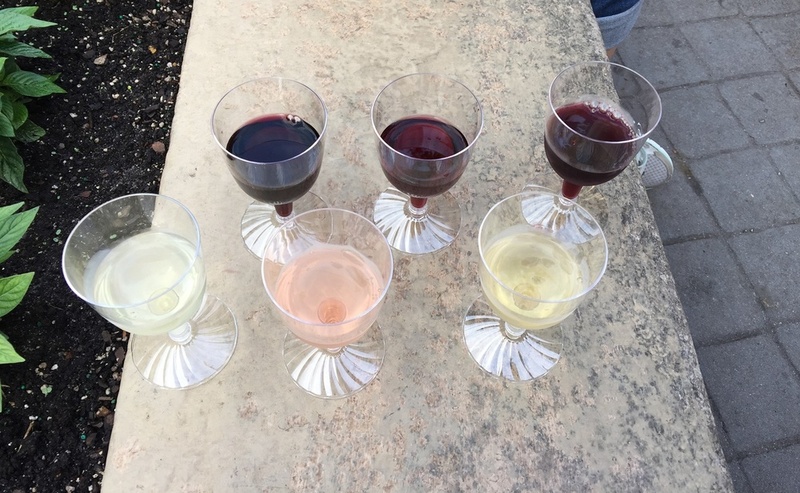 We then went into the wine shop, Les Vins de France, where we purchased the red and white wine flights. This was our biggest disappointment of the day. Each glass was 2oz, and the flight was $18ea. Given the rich food we had, the wine seemed, well…boring. We still drank it all while sitting on the edge of the fountain enjoying the beautiful day. Italy!!! We finally made it! 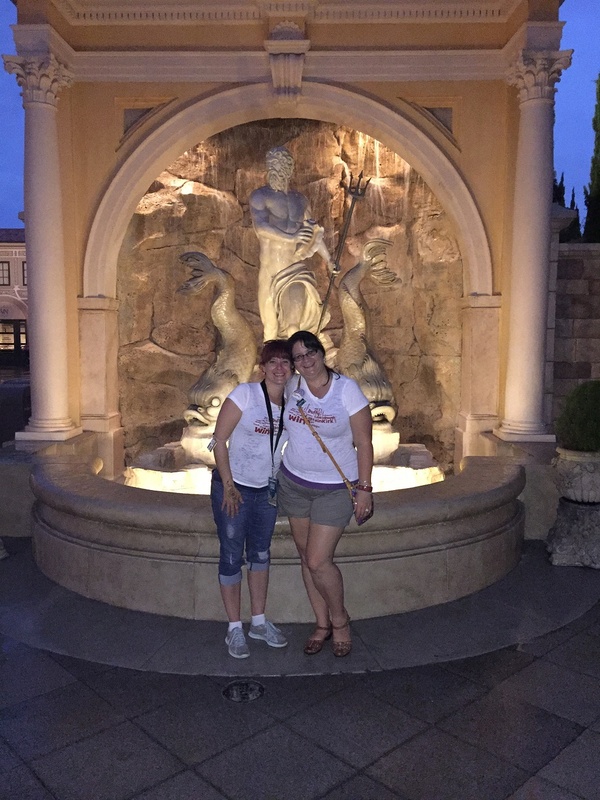 We started with some shopping and pictures -- and then it poured! Have no fear; there is a w(h)ine shop. While we whined about the rain for a minute, we drank a glass of wine. Due to the rain, La Bottega Italiana was packed. We got one glass of Pinot Noir, then got back in line to get another glass of something we couldn’t pronounce (looks like those Italian tapes were a waste of money). We really enjoyed the wine here. By then, the rain had slowed down a bit so we headed to the festival booth. I tried the Raviolo alla Caprese (cheese ravioli) and Amy had the Filetto di Pollo Funghi al Marsala (chicken marsala). We were very disappointed in the Italian booth. It only had those 2 selections, and they were so dull. A great part of our time at the booth was talking with a nice couple from Cleveland -- I had to poke a little fun at his Browns shirt. Turns out “Mrs. Browns Fan” was actually a Steeler fan and grew up 2 blocks from where I currently live. It’s a small world after all! With one more entitlement left and 10 minutes until our dinner reservation, we headed to Germany. They make the best Riesling, and they have four to choose from! 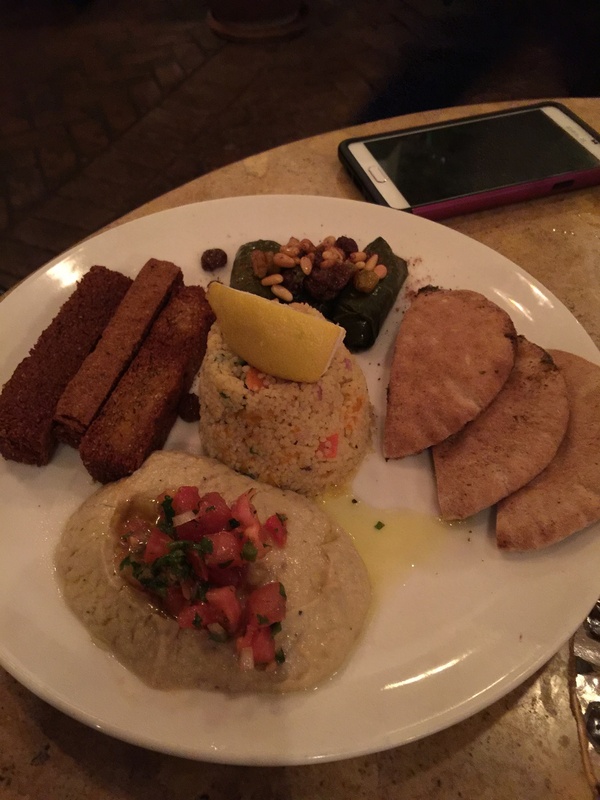 We drank our wine while we headed over to Morocco to try Spice Road Table as our final stop in trying something new. We had a little wait, so we decided to get henna tattoos that mean “Sisters”. I really enjoyed the atmosphere and cast members here. Everyone was very helpful and friendly, and the food was amazing! We watched Illuminations from here and then headed back. We were entirely too full (and a bit too giddy) to stop at the Champagne booth again. We ended up using all of the entitlements and all but a couple dollars on the gift cards. We were happy we didn’t go over budget. We were disappointed, though, that we didn’t make it to more of the Global Marketplace. As we started around the lagoon, our goal was not to miss anything. The only booth we purposely missed was Poland. As Pittsburghers, we didn’t think they could do a pierogi better than home -- I mean after all, we have pierogi races at Pirate games. 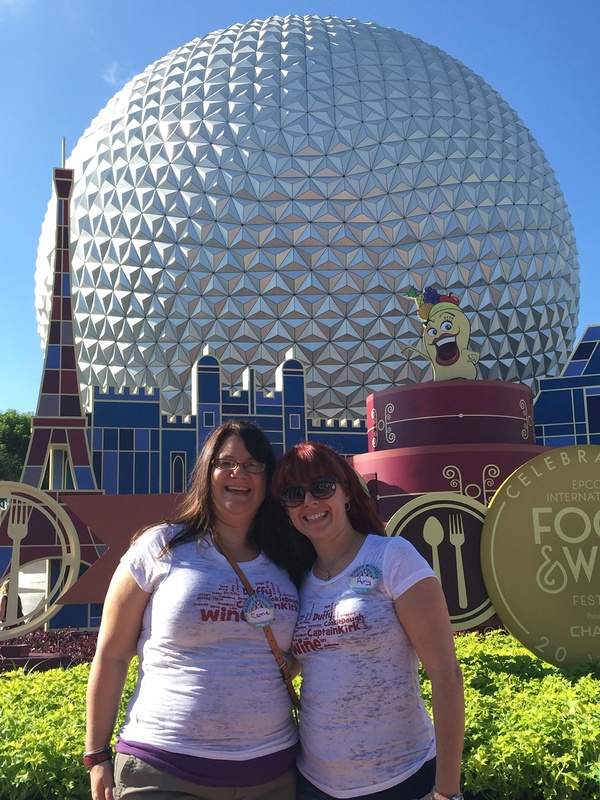 The Epcot Food and Wine Festival is an EVENT! We had so much fun the whole day. Even after an amazing day at the Magic Kingdom, we said we were going to come back and do 2 days at the festival. We’ll be back for our next milestone birthday celebration! Forty-One is a big deal…right?